Varsity Girls SLV vs. Carmel game. 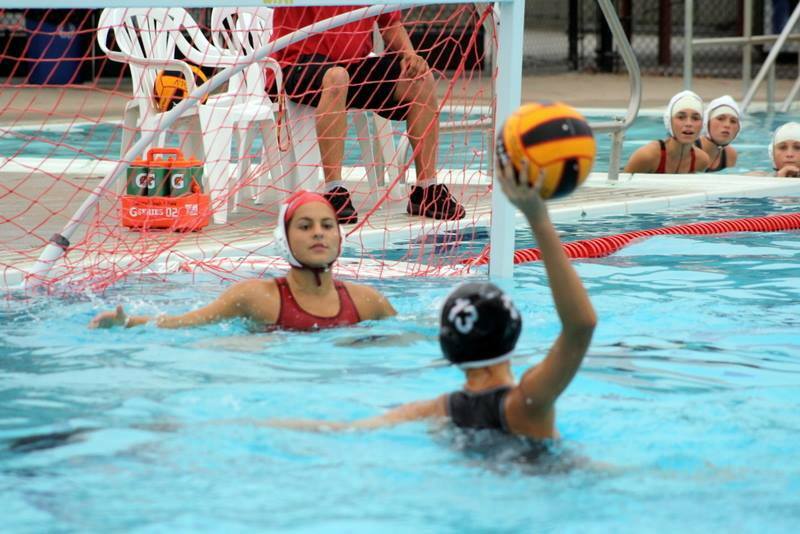 The beginning of the school year brings lots of excitement for SLV’s water polo teams who have already begun their season. After the graduation of eleven seniors last spring, the varsity girls team has welcomed several new players to its roster, including four sophomores. A two-day weekend tournament at Wilcox High School in Santa Clara offered great practice for the girls who after a nail-biting first game against Harker, “grew up”, according to coach Wally Brondstatter. With help from three guest players from the JV team, SLV fought an impressive battle which sent them into triple overtime after a tie of 7 to 7 at the end of regulation play. The overtime consisted of two additional two minute periods and one last three minute period. It was then that Harker made a goal securing a final score of 8 to 7. The girls went on to play two more exciting games at the tournament on Saturday. 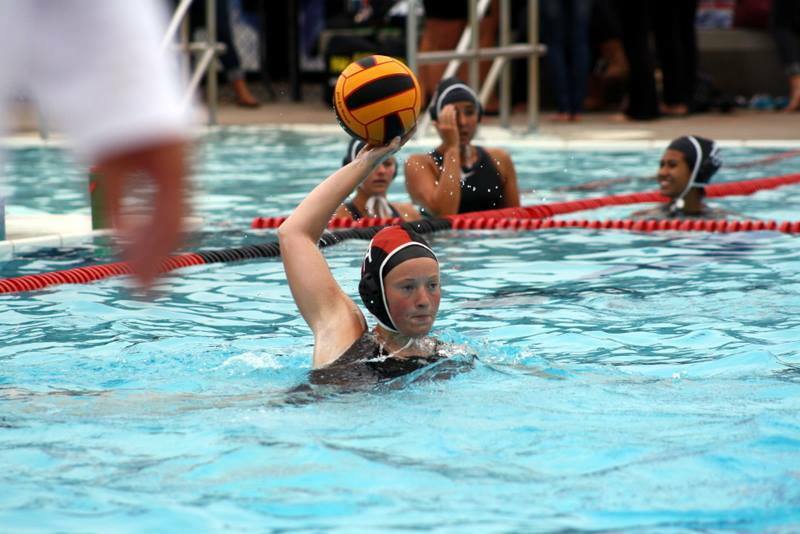 Team captain Hannah Kersten said, after reflecting on the tournament, that every game “is a new learning experience for everyone.” With many games to come, the girls varsity team is bound to learn much more in the upcoming months. Come support the varsity girls at their games on Tuesdays and Thursdays! Photo from the Press Banner, courtesy of Paul Firenzi. Across the pool, the varsity boys team has also begun their league play. Coach Matt (Camo) Troxell and captains Sam Van Pykeren and Josh Felts led their team to a 13 to 2 victory against Mt. Pleasant High School from San Jose, who they played at a Hollister tournament on Saturday the 15th of September. The boys also attended a tournament the week before making for a busy pre-season. Junior Kurt Fulkerson said with regards to tournaments that they are “always tough…but at the same time they push us into this overdrive.” The boys also have many upcoming games to watch. Their next game is against Palma High School on the seventeenth. SLV vs. Carmel JV girls game. The JV girls team has started what looks to be an interesting season also. The departure of many juniors to the varsity team has left room for many of this year’s freshman on the team roster. Sarah Townsend, one of the teams three captains commented that “Each girl has so much potential. I’m looking forward to a rad season…”. The team exhibited their potential in their pre-season tournament at Aptos High School and continued to impress crowds with a win against Carmel to start off their official league games. Like the varsity girls, JV will be competing regularly on Tuesdays and Thursdays. Their next game is the nineteenth of September at the SLV pool. The boys bring it in. 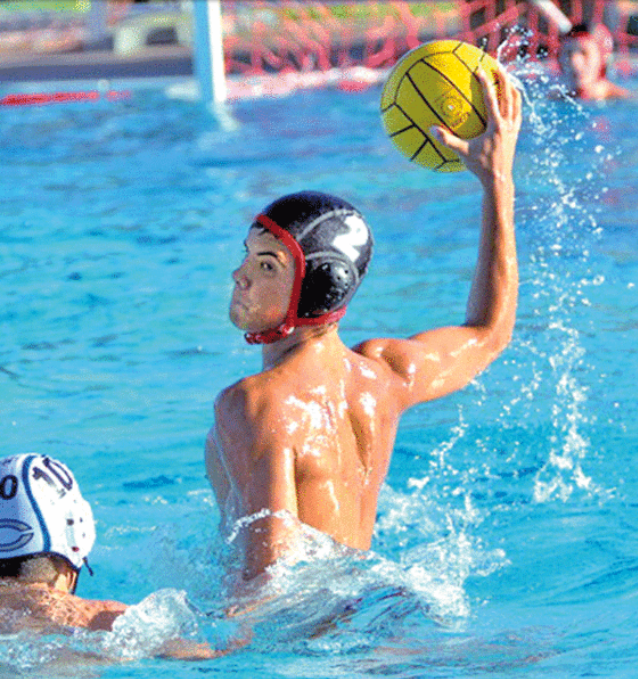 The JV boys water polo players have already won two of their games this season. 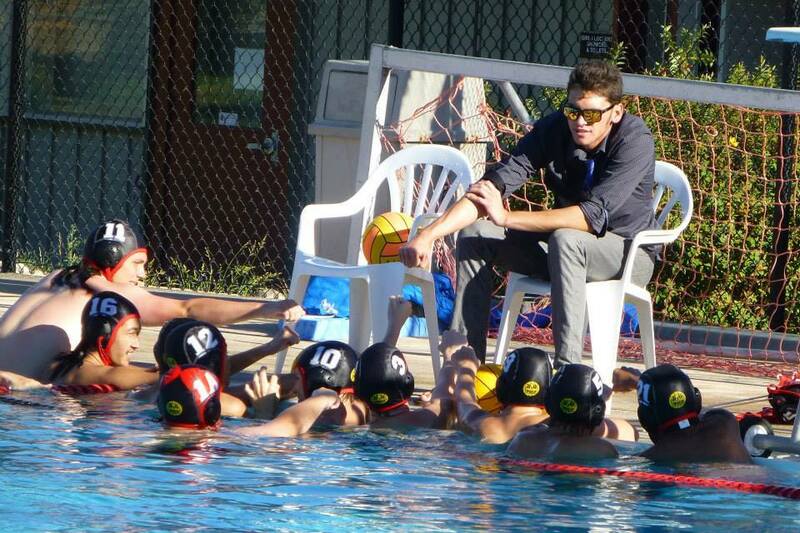 One of their wins was against Harbor High School of Santa Cruz. The second was in a tournament against a team from Half Moon Bay, which was decidedly more difficult, ending in a slim victory of 11 to 10 in favor to the JV boys. Sophomore Jordan Williams said that he is “looking forward to the rest of this season” with coaching from Aiden McCown. Although it may be too early to tell, the team shows the potential for great things this season. The boys’ next home games are the seventeenth and the twenty-fourth at six o’clock. Make sure to come watch and support them and the rest of SLV water polo!